One might think sand dragged in the house, salty air and humidity are not great arguments in favor of beachfront living. Then, you visit a property that offers miles of beach, splendid views and start visualizing what a home that would be. 1. Property values generally grow faster at the coast than inland, because of imbalances between demand and supply. It’s only fair prices should go up faster too because beach properties are more expensive. Like any good realtor® would say “location, location, location”. Of course, there are great places inland in California; it’s a different lifestyle. 2. You don’t get mosquitos, and other bugs that munch you when healthy ozone comes breezing through your windows. The ocean air is generally healthier, and there’s nothing better than taking a lung full in for feeling good. 3. You could pay for the cruise of your lifetime by doing your Airbnb while you are away. Those unlucky folks living up north and in old-fashioned Europe may pay everything they have for a glorious month in the California sun. 4. Beachfront homeowners stand to hang on to their youth for a while longer, as they do ocean parasailing, water skiing, and surfing. Others jog gently along the beach with their kids. What a way to bond. 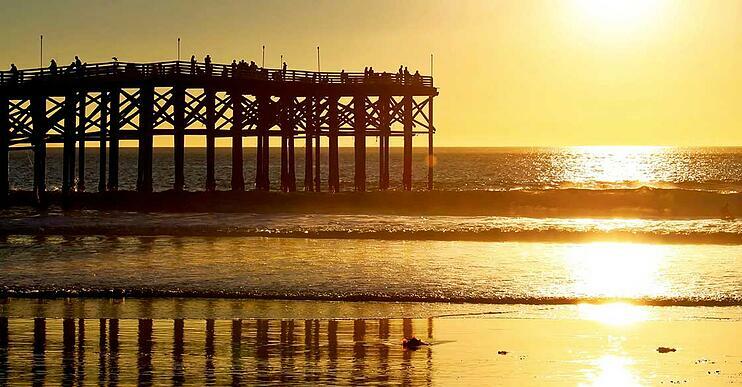 The pros of beachfront living far outweigh the cons in coastal California. The sound of water lapping the side of your boat in your private mooring outside your bedroom window is the essence of life and wellbeing. Not to mention watching glorious sunsets and sipping tequilas while catching the last warmth of the sun. A few blogs ago, we explored some incredible waterfront properties, and again we toured Newport Beach and a few of its gems. The common theme seems to be that living by the water also means opening the space to mimic the immensity out there. You don’t want to lose one inch of space; you don’t want visual obstacles in the house; you want to make the most of every day, when indoor and outdoor need not be separated. 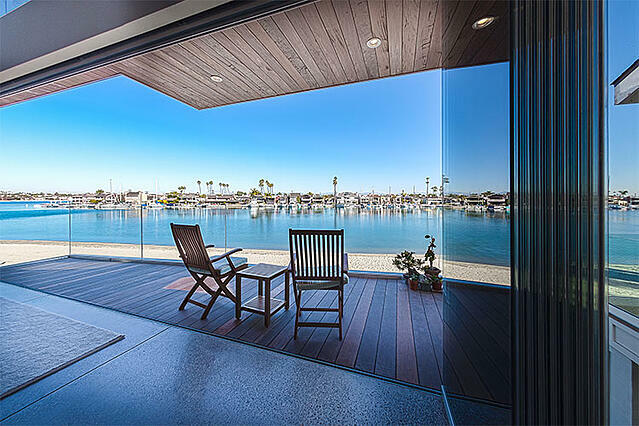 These are some of the reasons why Cover Glass has made its business to beautify California beachfront properties - among others - with frameless glass doors. To give homeowners the best of both worlds, even when the weather is not cooperating, or when the wind is blowing . What you do with the house once the panels are installed is totally left to you. You can go for beach-themed décor, modern minimalist, traditional-meets-function. Your creativity will spark wonders with the ocean for backdrop.